"Adventure awaits in your own backyard." 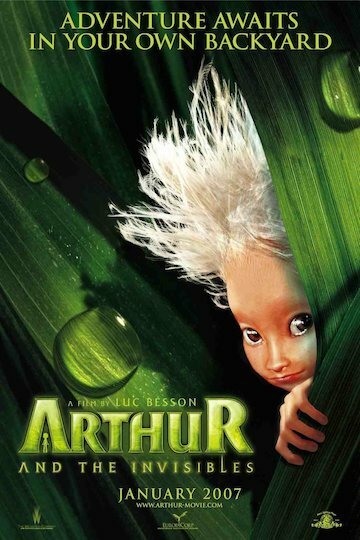 Arthur and the Minimoys, or "Arthur and the Invisibles" within the United States, is a French-made, English-language, computer-generated fantasy film from 2006. The titular Arthur is a boy living with his grandmother in a peaceful farm house by the country. Between the the disappearance of Arthur's grandfather and the rare interactions with his parents, Arthur only has the stories of his grandfather's African exploits to entertain him. After a banker arrives and demands that Arthur's grandmother pays up on the house within 48 hours, Arthur's chance encounter with the princess of the miniscule Minimoy people may be the only hope. Arthur and the Minimoys is currently available to watch and stream, buy on demand at Amazon online.